In Japan the series 'Peach Girl' consisted of 18 volumes. In the United States it was split into two series: 'Peach Girl', which was the first 8 books in the series, & 'Peach Girl Change of Heart', which contained the last 10 volumes in the series. Therefore 'Peach Girl, Vol. 9' & 'Peach Girl: Change of Heart, Vol. 1' are the same book. 'Peach Girl, Vol. 10' & 'Peach Girl: Change of Heart, Vol. 2' are the same book & so on. Miwa Ueda is currently considered a "single author." If one or more works are by a distinct, homonymous authors, go ahead and split the author. 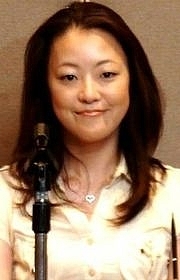 Miwa Ueda is composed of 6 names. You can examine and separate out names.